At Eastern, we believe that integrity is an invaluable asset and integral to the Company’s future success. We set high ethical standards for the Company’s employees, officers and directors. In keeping with this belief and in recognition of its fiduciary responsibility to our shareholders, the Board is dedicated to attaining high ethical standards in corporate governance. James A. Mitarotonda, also known as Jim, is the Chairman of the Board, President and Chief Executive Officer of Barington Capital Group, L.P., an investment firm that he co-founded in 1991. Mr. Mitarotonda is an experienced public company director. He currently serves as a director of Avon Products, Inc. and OMNOVA Solutions Inc. Mr. Mitarotonda has formerly served as a director of A. Schulman, Inc., The Pep Boys – Manny, Moe & Jack, The Jones Group Inc. Griffon Corporation, Ameron International Corporation, Ebix, Inc. and Gerber Scientific, Inc., among other companies. Mr. Mitarotonda has been a Director of The Eastern Company since 2015 and has served as the Company’s Chairman since 2016. Michael A. McManus, Jr. is the Former President and Chief Executive Officer of Misonix, Inc., a public medical device company. He also served as its Chairman. Mr. McManus previously served as President of New York Bancorp, a New York Stock Exchange company until its sale to North Fork Bank in 1988. Earlier he served as President of Jamcor Pharmaceuticals, as a Vice President of Strategic Planning at Pfizer, an Executive Vice President of MacAndrews and Forbes and of Revlon and Pantry Pride. From 1982 to 1985 he served as an Assistant to President Reagan in the White House. He was the organizer of the 1983 Summit of Industrialized Nations in Williamsburg Virginia. In the White House, he served on all senior policy and planning groups. He was the White House Manager of the 1984 Republican Convention and the coordinator for the 1984 Olympic Games. He also organized the advertising team for the 1984 Campaign that were known as the Tuesday Team. In 1984 he was Interim Communications Director. He previously served as a Special Assistant to the Secretary of Commerce in the Ford Administration. Mr. McManus has previously served on the Board of Directors of the Communications Satellite Corporation, Arrhythmia Research, National Wireless Holdings, American Home Mortgage and Guest Services. He presently serves on the Board of Directors of Novavax, Inc., a vaccine company, and served on the Board of A. Schulman, an international plastics and resins company. He is on the advisory board of Barington Capital Group, LP. In the non-profit arena, Mr. McManus was on the Board of the American Freedom Foundation and served on the Board of Directors of the United States Olympic Committee from 1995-2003. 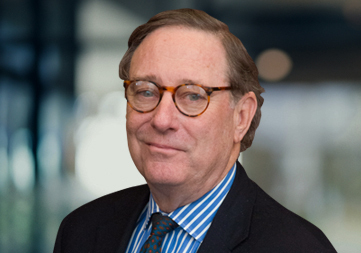 He is presently on the Board of the United States Olympic Foundation and served on the Board of Lawrence Hospital Center in Bronxville, N.Y.
Mr. McManus received a BA in Economics from Notre Dame University and a JD from Georgetown Law Center. Mr. McManus served in the U.S. Army Infantry and received the Army Commendation Medal and Distinguished Service Award. He is a recipient of the Ellis Island Medal of Honor and was recently named a Top CEO Of a Micro-Cap Company. Mr. John W. Everets has been Chairman and Chief Executive Officer of SBM Financial, Inc. since May 2010. Mr. Everets has been Chairman and Chief Executive Officer of The Bank of Maine (formerly known as the Savings Bank of Maine) since May 2010. He has many years of experience with the management of financial services companies. Mr. Everets served as the Chairman of the Board, Chief Executive Officer and President of HPSC Inc. of Boston from July 1993 to January 2006. Mr. Everets served as an Executive Vice President of Advest Inc., a subsidiary from 1977 to January 1990. As Head of Corporate Finance at Advest, he was responsible for oversight of municipal finance and was in charge of sales, marketing and product development. Mr. Everets has also served as Chairman and Chief Executive Officer of Yorkshire Capital LLC. He served as General Manager and Chief Executive Officer of the HPSC unit of GE Healthcare Financial Services from 2004 to 2006. Mr. Everets has been Chairman of Yorkshire Capital Boston, MA (Investment Firm) since January 2006. He serves as the Chairman of the Board of Advest Credit Corp., a subsidiary of Advest Group, Inc. From 1990 to 1993, he served as Chairman of T.O. Richardson. Mr. Everets has been a Director at The Eastern Company since 1993. He served as Director of Assured Guaranty Municipal Corp. (alternate name, Financial Security Assurance, Inc.) since 2007. He served as a Director of MicroFinancial Inc. from August 15, 2006 to July 25, 2011. He served as a Director of Assured Guaranty Municipal Holdings Inc. (alternate name, Financial Security Assurance Holdings Ltd.) from May 16, 2007 to July 2009 and HPSC Inc. of Boston since 1983. He served as a Director of Dairy Mart Convenience Stores Inc. since 1994 and Advest, Inc., a subsidiary of Advest Group, Inc. from 1977 to January 1990. Mr. Everets was Vice Chairman of the State of Connecticut Development Authority from 1988 to 1992. He was a Member of the National Academy of Science President' Circle and of the Board of The Trust for America's Health. He holds an MA in Financial Services. Mr. Charles W. Henry is a founding partner of Henry & Federer, LLP. 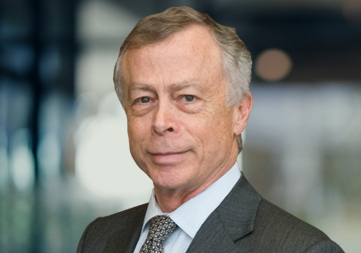 He has practiced law in the State of Connecticut since his admission to the Bar in 1975. For a period of 20 years, he has been peer rated “AV” from Martindale-Hubbell, which is the highest rating a lawyer can attain for his expertise and ethics. Mr. Henry has served as a member of the Board of the Trust Committee of Colonial Bank, Bank of Boston Connecticut and Webster Bank. He also served as a founding Director of Capital Management Corporation of the Northeast. He also serves on the Board of The White Deer Rock Land Corporation and in the past has served various positions on behalf of The Waterbury Hospital, Chase Collegiate School and The Connecticut Community Foundation where he is a past President. Mr. Henry has been a Director of The Eastern Company since 1989. Fred DiSanto has been the Chief Executive Officer of The Ancora Group, a registered investment advisor since January 2006. He became Chairman of the Board in December of 2014. Fred was the former President and Chief Operating Officer of Maxus Investment Group from 1998 until December of 2000. He was responsible for the marketing, sales and financial operations. 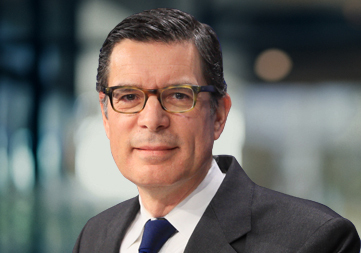 Prior to Maxus, Mr. DiSanto was Managing Partner at Gelfand Partners Asset Management from 1991 until its merger with Maxus Investment Group in 1997. He began his investment career in 1985 with McDonald Investments in Institutional Equity Sales. In January 2001 Maxus was sold to Fifth Third Bank. 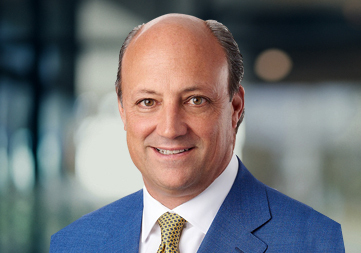 Mr. DiSanto served as Executive Vice President and Manager of the Fifth Third Bank’s Investment Advisors Division overseeing Investment Management, Private Banking and Trust and Banking Services. Mr. DiSanto is currently a Part Chair of The Cleveland Film Commission and is on the boards of Medical Mutual of Ohio, Case Western Reserve University, Lorain National Bank, Axia NetMedia Corporation, and WF Hann and Sons. 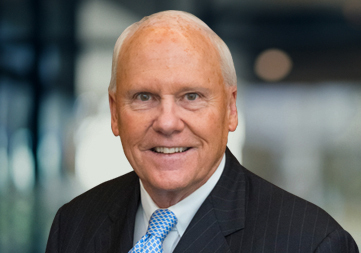 Previously, he served as chairman of the Board at Regents of St. Ignatius High School and The Greater Cleveland Sports Commission, where he is current Trustee. Mr. DiSanto is a graduate of Case Western Reserve University with a degree in Management Science. He received his M.B.A. from the Weatherhead School of Management. Mr. August M. Vlak, also known as Gus, has been Chief Executive Officer and President Director at The Eastern Company since January 1, 2016. 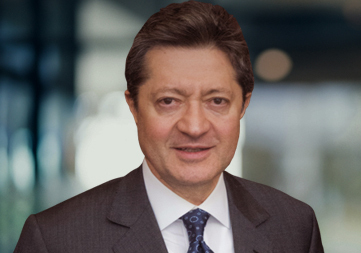 He has been a management consultant and is a former Senior Advisor to Barington Capital Group, L.P. Mr. Vlak's consulting work focused on growth strategy and operational performance improvement at more than 50 companies - including leading domestic and global industrial enterprises - where he has worked directly with numerous senior management teams and boards of directors. Mr. Vlak was a Consultant at McKinsey & Company, where he was a member of the health care practice. He was an Investment Banker with Lehman Brother's Health Care Banking Group. Mr. Vlak holds a B.A. degree in Economics from Amherst College, where he was elected Phi Beta Kappa, and an M.B.A. from Stanford University.